Looking for a great 5 star Hawaii resort? There are a number to choose from in Hawaii that are fantastic. We've found and listed below the resorts that get consistently excellent reviews, are great quality and have much to offer you. If you are like most of Hawaii's visitors you are escaping winter from december to April. March is packed with families enjoying spring break. Obviously when prices are higher and competition for services are at their peak. You will need to book early at this time to secure anything at all. If luxury allows travel in the spring and fall outside the peak season but when the weather is good. Summer brings mildly higher prices again. About four inches of rain falls in December and January while June, July and August are the driest with about half an inch falling. 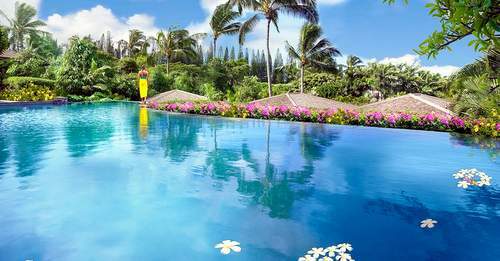 This resort has made a solid stance as the top 5 star Hawaii resort and was recently the only Hawaii Luxury Resort to make TripAdvisors Travelers choice awards for the best resorts in the United States. Located in Ka'upulehu and 10 minutes from the airport. The resort sits in a prime location along the Kona-Kohala Coast on its own beach. 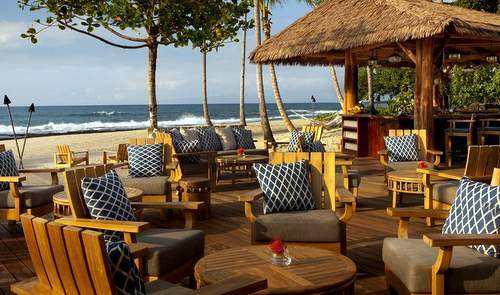 Part of the experience are the stylish beachfront restaurants and lounges. With a magnificent Jack Nicklaus pro golf course which hugs the shore, a full service spa, tennis courts and great children's and adult only pools, you will find more than enough to keep you occupied. You'll find a black lava pool, a white-sand beach and many activities like rock climbing. Perhaps the best reason to consider this particular four seasons is the enthusiasm expressed by previous guests. We found the guests really appreciated the quality of the experience putting it in the top percentiles of resorts worldwide in terms of satisfaction ratings. While the beach doesn't receive quite the same levels of excitement, all in all the resort is the standout 5 star resort in Hawaii. Here, things like picking up bar tabs on special occasions and careful attention to detail are more the norm than the exception. See the best Oahu luxury resorts and Oahu resorts for families. 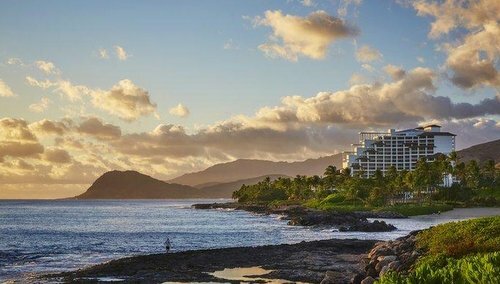 Also by four seasons is the, 300+ room Four Seasons Resort Oahu at Ko Olina which opened in 2016. The quality of the facilities is totally to the high standard you would expect with a new Four Seasons resort. The pools, shuttle, courts, huge spa, nearby golf course, and restaurants are all among the best in Hawaii. More information and offers on the Four Seasons Resort Oahu at Ko Olina. 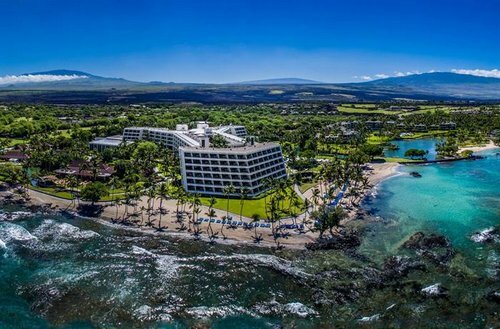 The much smaller, 50 room Montage at Kapalua Bay is currently the outstanding 5 star Hawaii resort at Lahaina and apart from the Four Seasons Resort Maui at Wailea is the best on the island. See Maui Luxury Resorts in that area. Montage is both family friendly with a sizable children pool and club services and good for a romantic retreat complete with full service spa, poolside bars. This is not your typical 5-star resort and rooms come condominium style complete with kitchens with stoves, refrigerators, microwaves, dishwashers, washers and coffee machines. The resort has improved further since reopening in 2014 following extensive remodeling which completely shut it down for a period. Today it is receiving some of the most outstanding reviews in Hawaiii. Located on a beautiful Big Island beachfront property on the Kohola Coast complete with hammocks and private cabanas. While not an official 5 star Hawaii resort, the quality of service and facilities could easily make up the difference. This is a 4.5 star resort but we found was better than many five star resorts worldwide where guests also report almost Kapalua Bay exclusively excellent reviews. 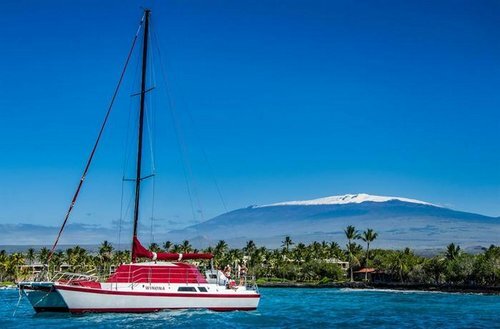 Highlights include white sand beaches, tropical fish and small shark ponds, championship golf, the Mauna Lani Spa, water sports, a children's day camp and an oceanview pool. You may also like to take in the Kalahuiupua'a fishponds or golf. The guestrooms each have furnished lanais and teakwood furniture. There are also the Villages at Mauna Lani. A gated community as part of the Mauna Lani Resort. Latest review, more information, and special offers on Mauna Lani Bay Hotel and Bungalows. This famous resort is set on a site of historical significance on even more famous Waikiki Beach. 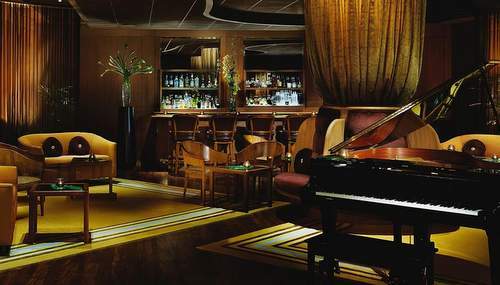 The area is of great importance in Hawaiian culture and it's name means "house befitting heaven"
To give you a little idea of the vibe, the restaurant staff seem to have developed the ability to infuse a delightful ambiance and meals are done in the Neoclassical French tradition at La Mer. The five star resort does well to maintain its high standard given that there are over 450 classy yet earthy style rooms with natural fabrics. Much is said about the legacy of the resort and its former home of Hawaiian royalty. There is even a Legacy Tour taken weekly to learn more about the history involved. 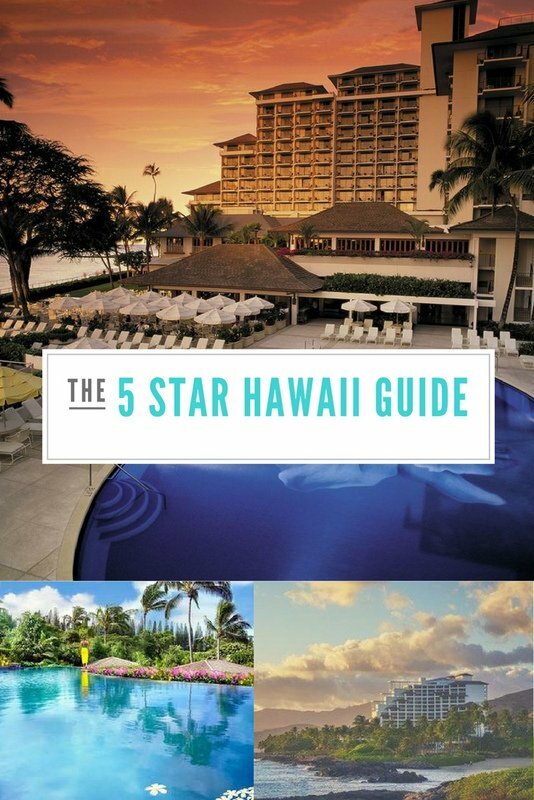 We personally find that this legacy has continued and Halekulani certainly deserves a spot as one of the best five star resorts in Hawaii, but perhaps not the best. In any case the experience remains more than exceptional and the fine tradition of impeccable service and attention to detail will without doubt continue into the future. The Princeville Resort is the first St. Regis Hawaii 5 star resort. The brand known for it's excellent resorts in exotic locations around the world. Guests marvel at enjoying their luxury Hawaiian vacation on a tropical bluff overlooking mountains and bays with little other visible structures in sight. Website for St. Regis Princeville. Located on the privately owned island of Lanai, this is a remote beach resort. Rooms include private lanais, quilted comforters and marble bathrooms. Reviewers love this resort and generally have only good things to say about it. Located 1 mile from Lanai city in the Highlands - not oceanfront but cooler in temperature. This is a country lodge and features horseback rides, croquet and has been awarded the best lodge in America by a prestigious academy. Rooms in this plantation style building have French county upholstery and original art by Hawaiian artists. Located on the Kohola Coast and next to Mauna Lani this is a 4.5 star resort we were compelled to include. Highlights include championship golf, the Spa Without Walls, white sand lagoon, secluded snorkeling bay, lava-rock whirlpools, a free form and a children's pool, a year-round children's program and Hawaiian entertainment. Hawaii has 3 great islands that each have 5 star resorts. We have pages on these resorts in more detail. Maui 5 star resorts - more great golf and spa luxury resorts. 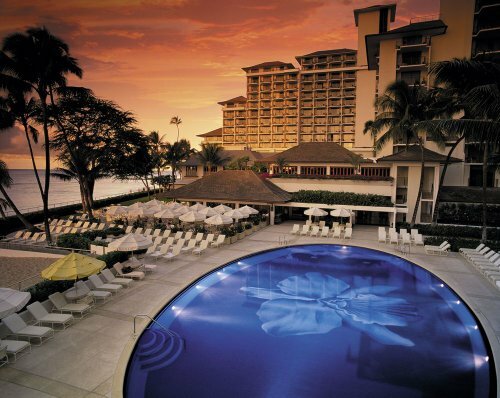 Oahu 5 star resorts - home of the famous Halekulani. Kauai 5 star resorts - 3 excellent resorts on this island with great opportunities for sight-seeing.